Looking for privacy in a peaceful waterfront community....look no further!! This over three quarter acre homesite offers expansive sunset views across the marshes of Village Creek and the Morgan River. Your dream home will be nestled among Live Oaks and salt marshes. Don't miss this one!! St. Helena Island is one of the South Carolina Sea Islands in Beaufort County, South Carolina that are historic sites of early European colonization of North America. St. Helena is also the center of African-American Gullah culture and language. It is sometimes claimed to be the oldest settlement in the United States. The Sea Islands were the sites of many early forts, One, Fort Fremont is located at Lands End on the southern tip of St. Helena. Across Saint Helena Sound is Parris Island, site of several more historic forts that have been sites of extensive archaeological digs. The forts were established to protect Port Royal. St. Helena is today connected to Beaufort, the county seat, by U.S. Highway 21, and its biggestbiggestgestly rural population is included as part of the Hilton Head Island-Beaufort Micropolitan Area by the U.S. Census Bureau. The island has a land area of 165.212 km² (63.789 sq mi) and a population of 8,407 as of the 2000 census. The first European to explore St. Helena was most likely Spanish explorer Lucas Vázquez de Ayllón around 1520, as part of the Spanish exploration and colonization of the sea islands. Deepwater Port Royal was established as the center of the area, and at one time was the capital of the entire Spanish colony of Florida. The area was later colonized by the French, the Spanish again, then finally fell into English hands, who occupied it until the American Revolution. The area was noted to be similar to the rice growing region of West Africa and soon captured slaves were brought to the Sea Islands, many from what is today Sierra Leone. Rice, indigo, cotton and spices were grown by these slaves, as well as Native Americans, and indentured servants from Europe. The mix of cultures, somewhat isolated from the mainland, produced the Gullah culture. In the War of 1812, Saint Helena saw some British naval presence. The Civil War began, when South Carolina fired on Fort Sumter on April 12, 1861. After a number of setbacks for the Union, the Battle of Port Royal became an important victory on November 7, 1861. Lincoln had called for a blockade of Confederate ports and Port Royal was considered one of the most important. A flotilla of Union ships commanded by Samuel F. Du Pont launched a furious assault on Fort Walker, which defended Port Royal and the Sea Islands. The battle was so loud it was heard along the coast as far as present day Florida. After several hours, the fort surrendered and the islands fell into Union hands and were held throughout the war. Slaves were liberated and immediate steps were taken to help improve their lot. One of the most important was the establishment of Penn School to educate them. Another was grants of land to heads of households, from whence came the belief among the slaves that upon emancipation, all would be given forty acres (16 hectares) and a mule. Today the historic school, now known as Penn Center is one of the nation's most historically significant African-American educational and cultural institutions. In recent times it was an important meeting center for Dr. Martin Luther King, Jr. whose Southern Christian Leadership Conference met on the Penn campus. In 1974, the U.S. Department of the Interior named Penn Center a National Historic Landmark. 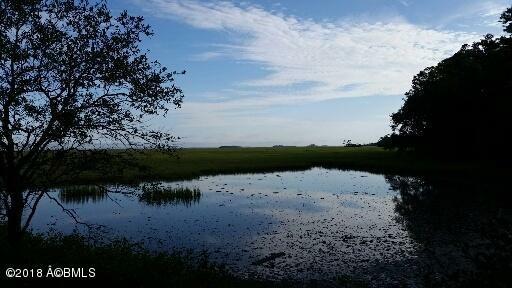 The historic status has helped the defenders of the Gullah culture fend off the development that has turned other Sea Islands like Hilton Head Island into resort areas. Condos and gated communities are not allowed on St. Helena. Some rural land has been preserved and much of the island is still owned by African-Americans. However, economic pressures have forced some off their land, and may forever change the character of the area. Famous St. Helena natives include folk artist Sam Doyle.